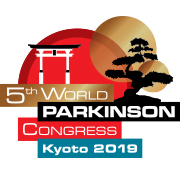 I hope Japanese people with Parkinson’s see that they are able to attend the WPC2019, even if they don’t speak English very well. Can you describe yourself in one sentence? Since being diagnosed with Parkinson’s, my world has expanded and I believe I have a stronger spirit – although I am still very shy! Do you have a particular audience in mind when you’re writing about the WPC2019? I started writing for both English and Japanese audiences who had never been to Kyoto, Japan, but I found writing in two languages quite difficult. For that reason, I now write solely for Japanese readers who need information. I want people with Parkinson’s to continue having a reason to live, to have an objective in life – and to have a strong spirit. A seminar called ‘Work with Parkinson’s’ was really well received. I get up around 5:30 JST, usually before my alarm goes off as I have trouble sleeping. I take a bath, which helps relieve the numbness in my arms and then leave for work around 7:30 JST. My real battle starts on the train, on my way into the office. By the time I get home at 8:00 JST, I’m a little too tired to do anything – so I’ll just dive into bed. On the weekends I go to hula (Hawaiian dance) lessons. I also visit various small Parkinson’s organisations where I meet others and hold seminars. Having such a busy schedule means I often struggle to find time to blog ­– but I know I’m making excuses! Blog: 柳緑花(Ryuryoku–Kakou) Literal translation: Trees are green, red roses too. What physical challenges do you face when writing? I often find it hard to type on the keyboard or use a mouse without shaking or feeling numb. When writing on my smartphone, I use a touch pen and put a ring holder on the back to prevent me from dropping it. I also use predictive text to help me cover the words I want. It’s also important for people to see it’s OK to speak in public about Parkinson’s. How did you get involved with the World Parkinson Congress? 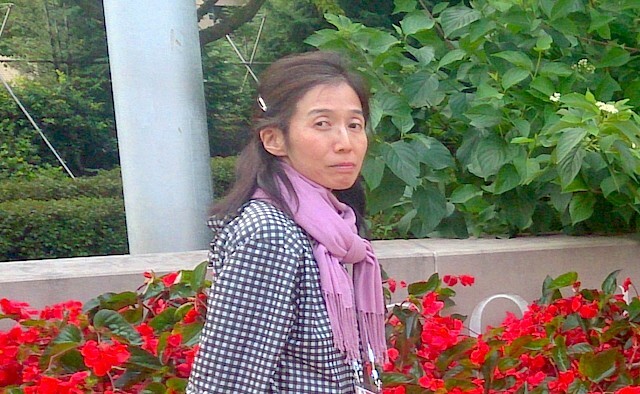 One of my best friends, Toshiko, recommended I attend the third WPC event, as she had been before and really enjoyed it. I jumped at the chance to meet people with Parkinson’s from all over the world. One of my favourite moments from the last congress was becoming best friends with a lady from Iowa, US. We’ve kept in close contact since and she has continued to encourage and support me. I can’t wait to catch up with so many friendly faces. I enjoyed WPC2013, and then WPC2016 was even better ­­– so I expect WPC2019 will be a wonderful event.